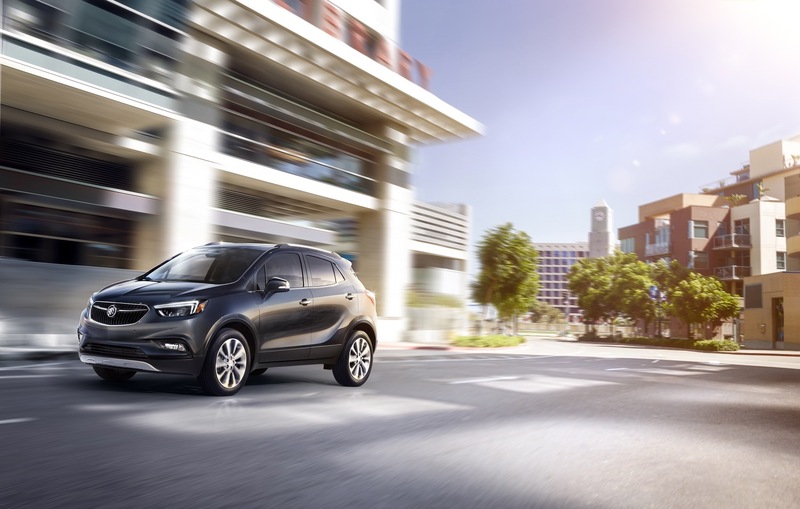 After four years on the market, the Encore subcompact crossover has become Buick’s best selling vehicle. 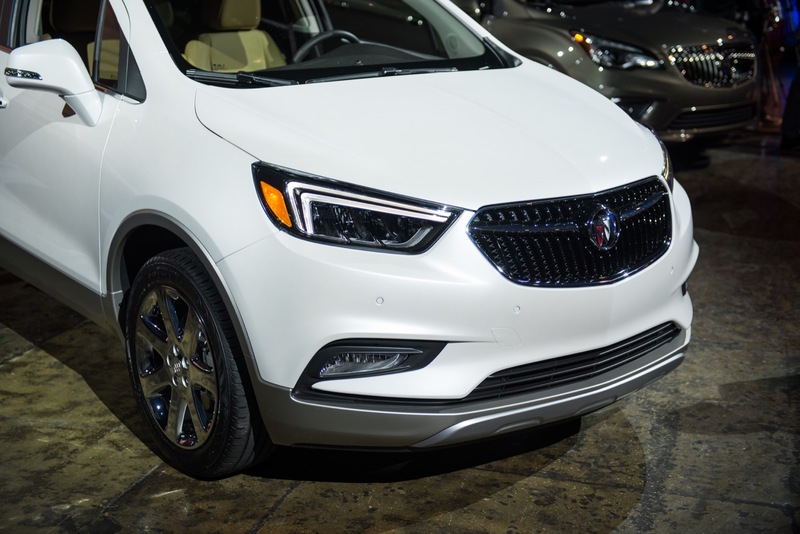 For the 2017 model year, Buick gives the vehicle a mid-cycle enhancement, otherwise known as an MCE, facelift, or freshening. 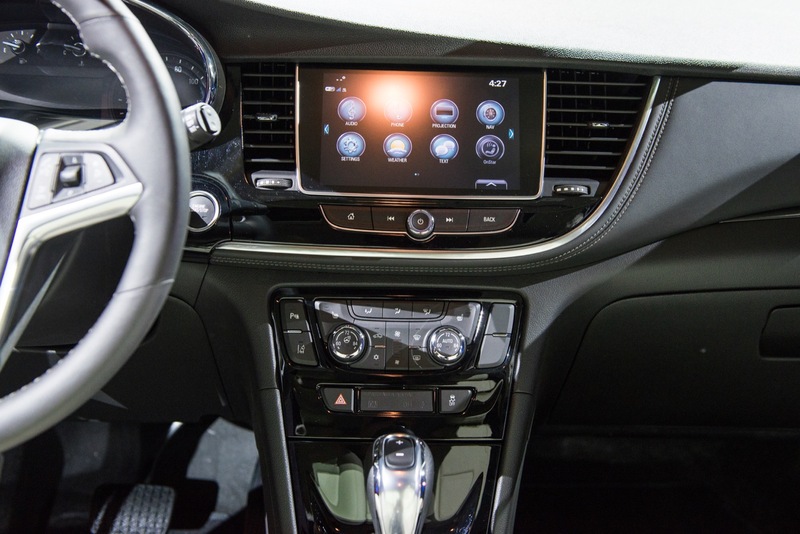 The updates consist of enhancements to the exterior and interior, as well as new connectivity technology such as Apple CarPlay and Android Auto. 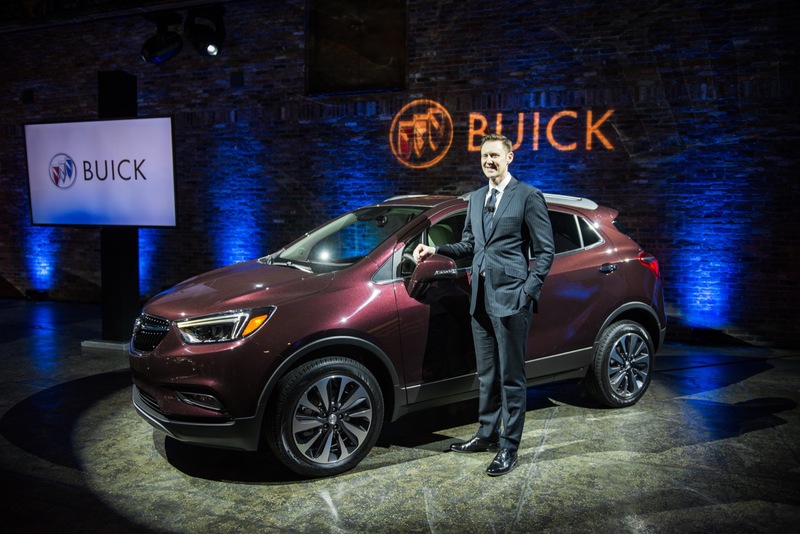 “The Buick Encore created the premium small SUV segment and remains the top choice for customers seeking premium features and dependability coupled with timeless design,” said Duncan Aldred, vice president of Buick Sales, Service and Marketing. 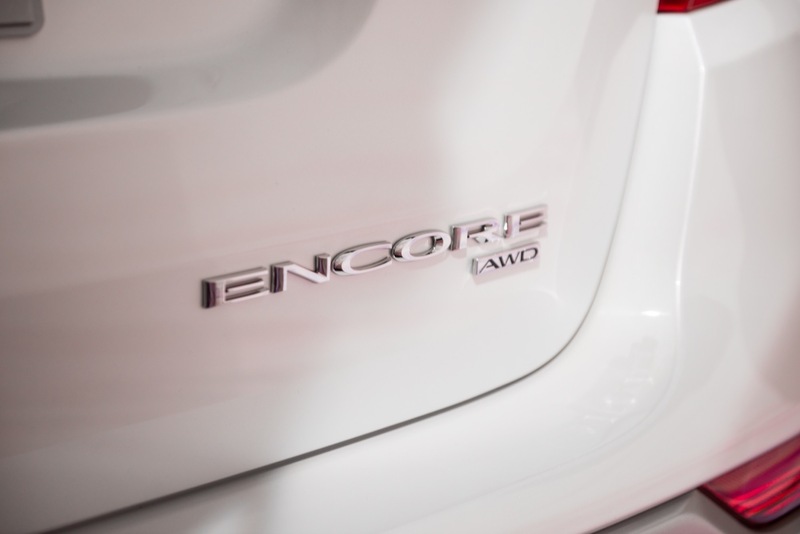 “In a rapidly evolving segment, the Encore continues to lead with smart, purposeful updates and a new level of technology-infused elegance and refinement. 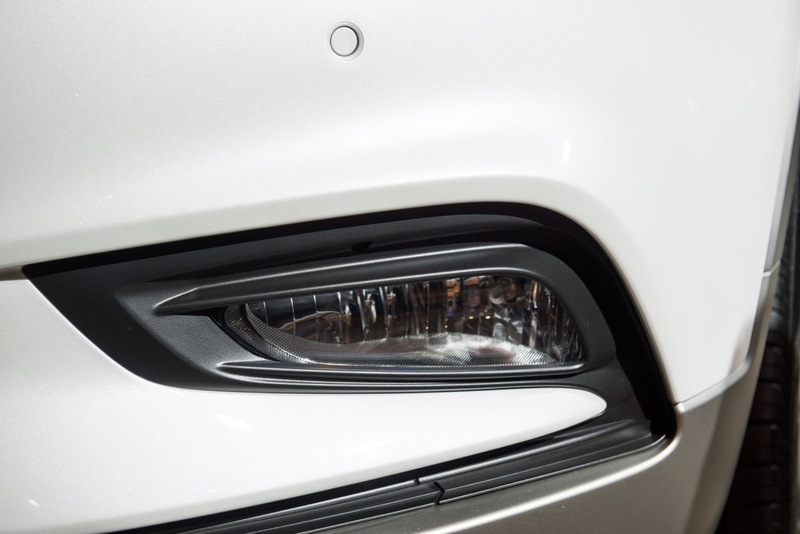 We will update this page with official RPO-level changes when they are released. 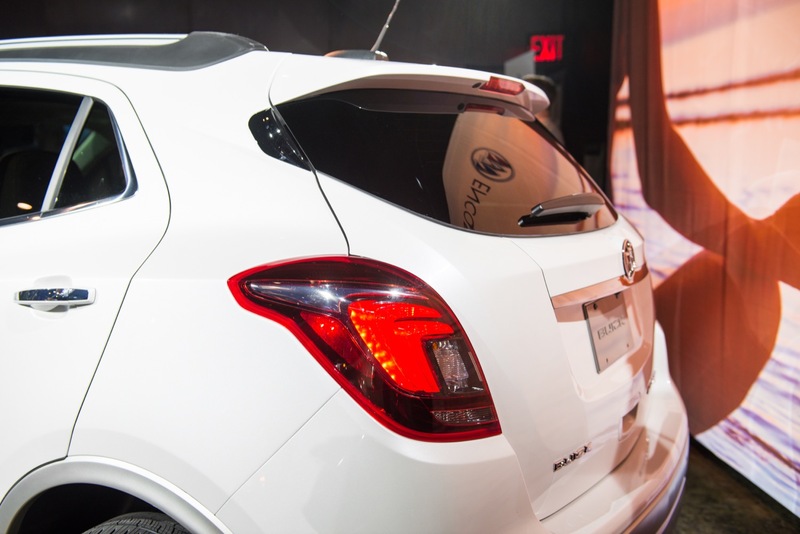 The 2017 Buick Encore features an updated exterior design with sculptural surfacing and elegant line work that continues to distinguish the Buick brand. 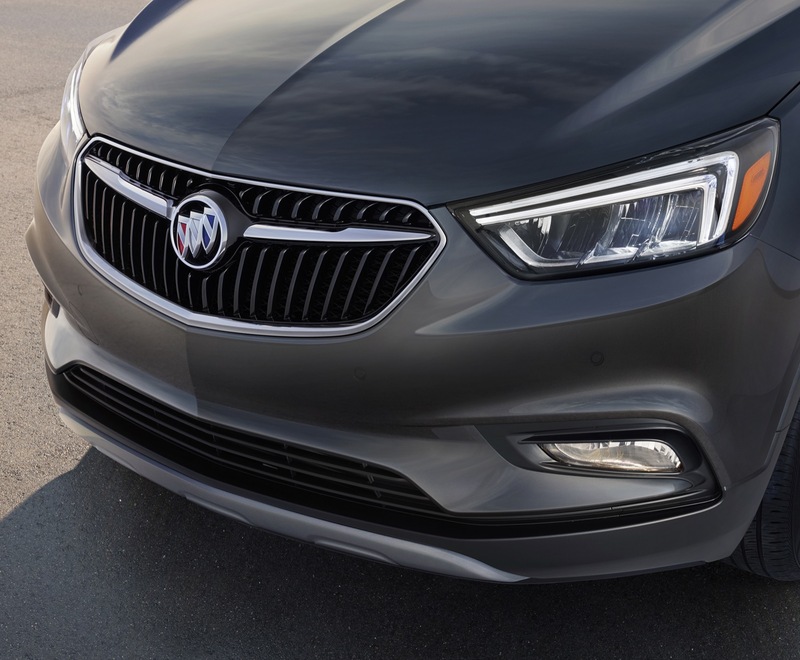 A new front fascia is defined by the addition of the winged grille with Buick’s new tri-color insignia, new front headlamps and rear LED signature tail lamps, all of which contemporize the Encore and set up the visual flow around the entire vehicle. 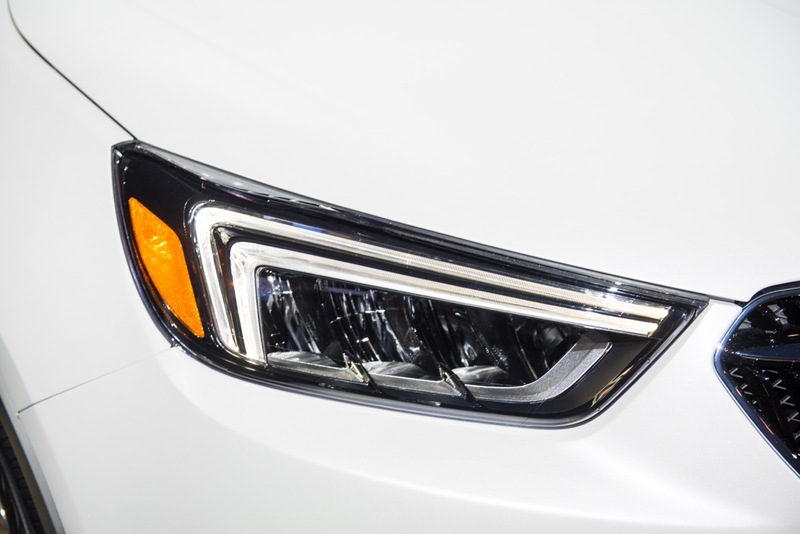 Uplevel models receive Buick’s full LED headlamps, which provide efficient, clear lighting of the road ahead. 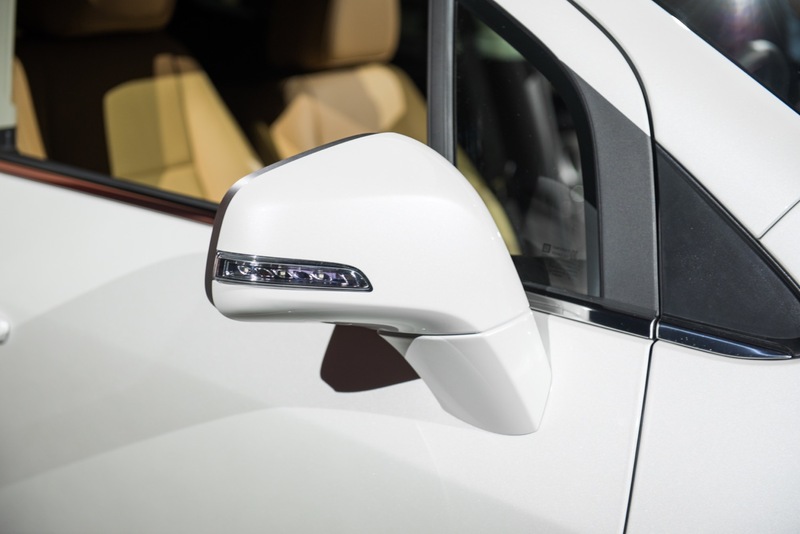 Also new are a chrome exhaust outlet, body-color heated outside mirrors, a new 18-inch wheel design and three exterior colors: Black Cherry Metallic, Ebony Twilight Metallic and White Frost Metallic. 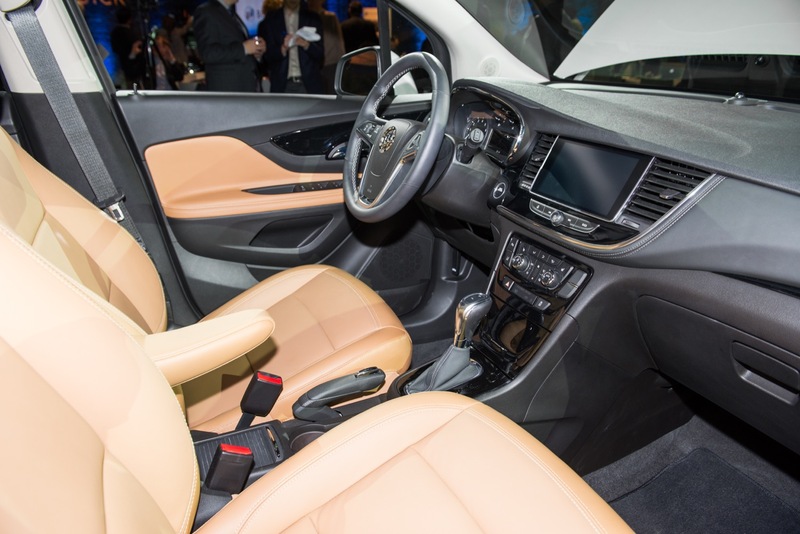 Building on Buick’s reputation for premium and quiet passenger environments, the 2017 Encore delivers an updated interior design with a greater emphasis on material selection, placement and subtle details like bright accents and contrast stitching. 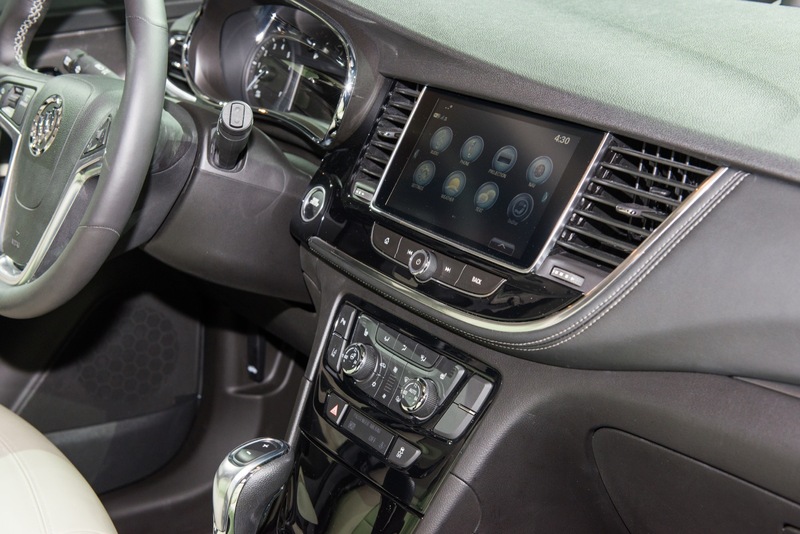 An updated instrument panel flows across the interior and incorporates a new gauge cluster with a 4.2-inch-diagonal color driver information center. 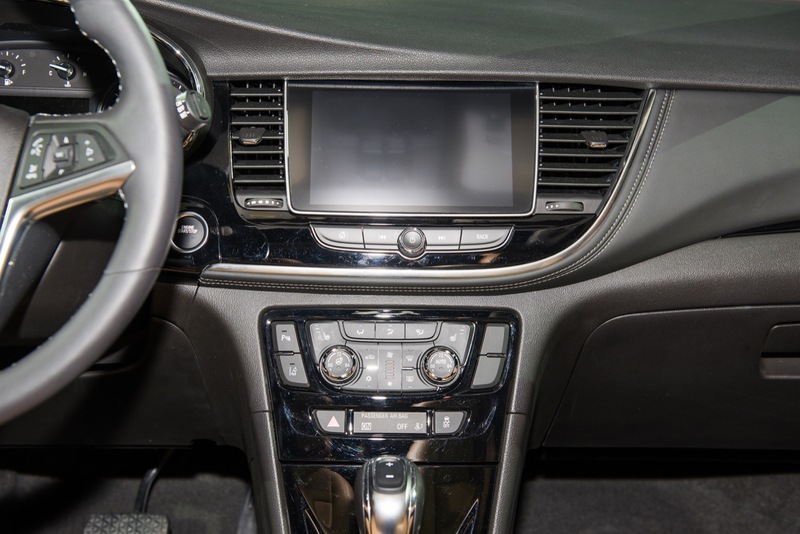 A new center stack blends with the instrument panel to offer more intuitive access for the user interface and its new, frameless 8-inch color touch screen with the IntelliLink infotainment system, which is designed to support the latest interface technologies, including Apple CarPlay and Android Auto compatibility. 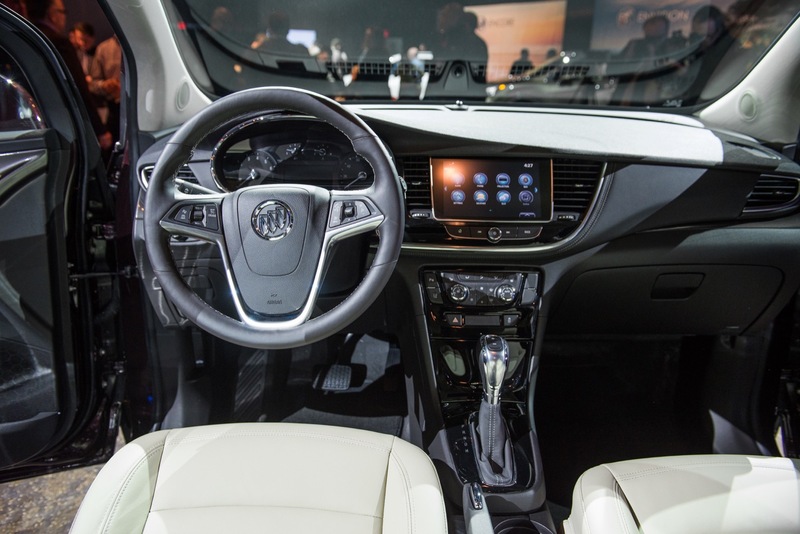 Buick’s exclusive QuietTuning is standard on all models and includes Bose Active Noise Cancellation technology. 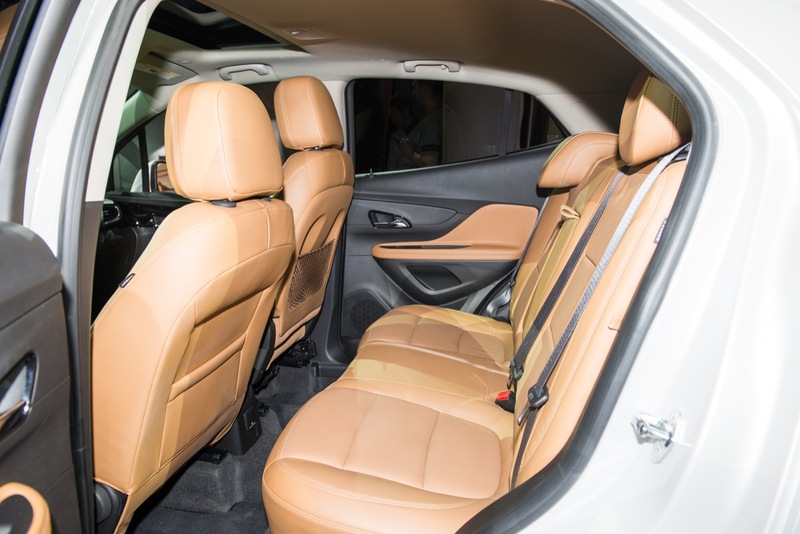 All 2017 Encore models offer room for five and up to 48.4 cubic feet (1,371 liters) of storage space with the 60/40 split rear seat folded. 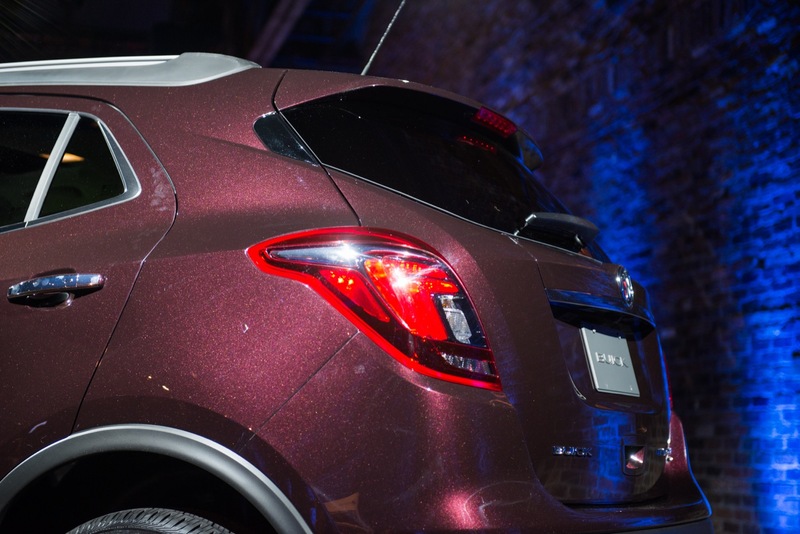 We will update this section when we see the 2017 Encore’s full exterior and interior color lineup. 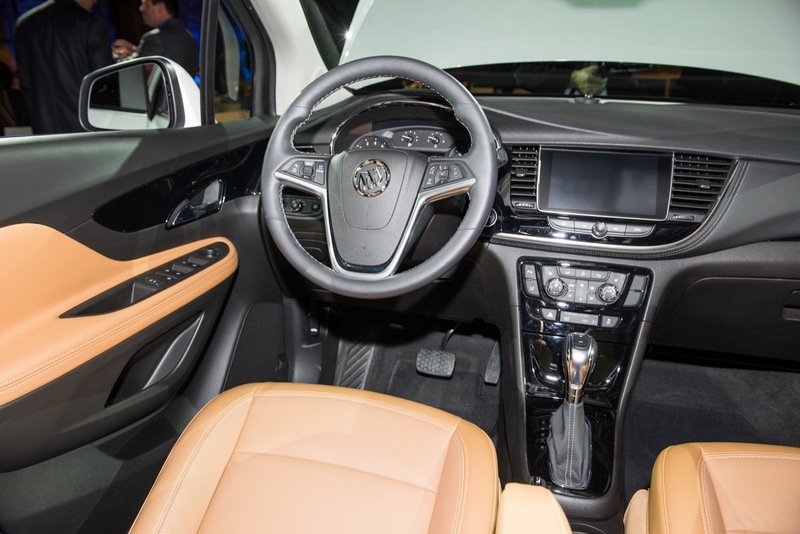 The 2017 Buick Encore delivers several new technologies. 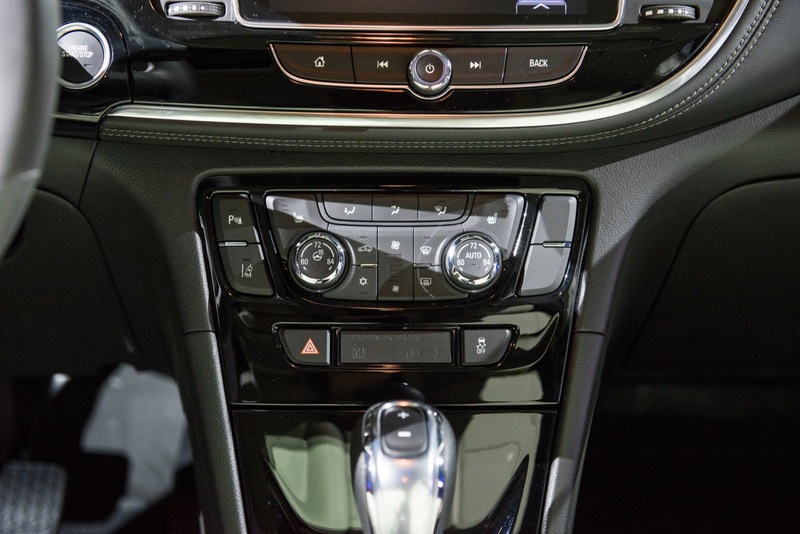 More notably, it features an updated IntelliLink infotainment system with Apple CarPlay and Android Auto support. 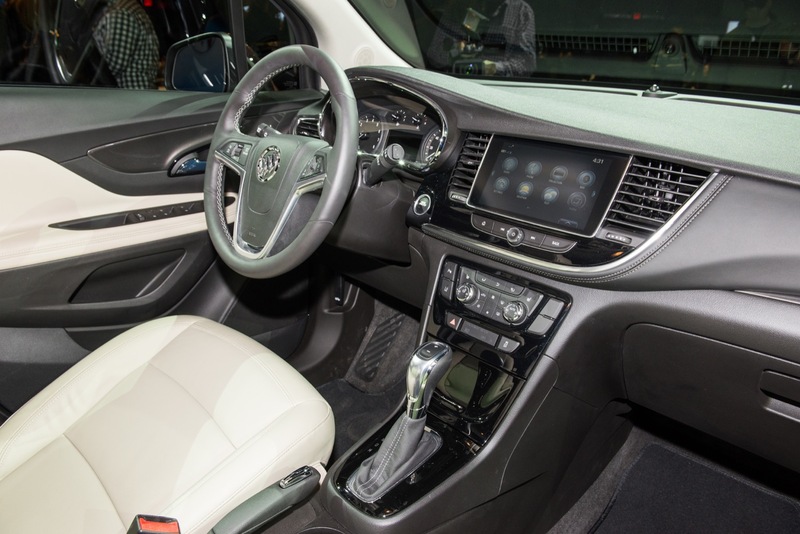 The vehicle also includes OnStar 4G LTE with a Wi-Fi hotspot. 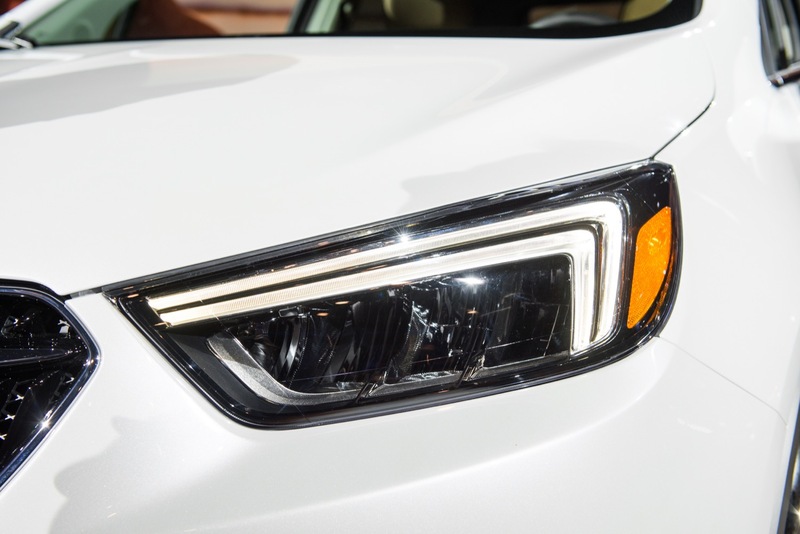 Now now standard across the brand’s U.S. model line, 4G LTE with Wi-Fi allows passengers to connect up to seven devices to high-speed wireless Internet. 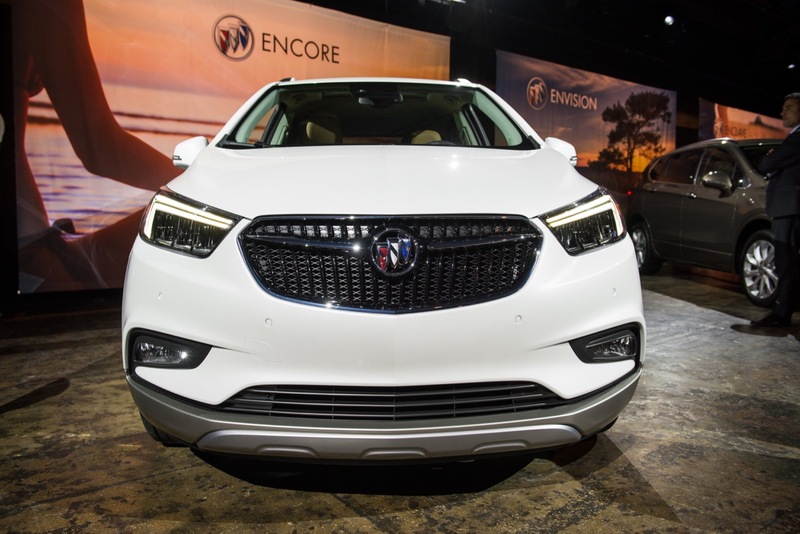 Buick notes that the 2017 Encore is the fourth all-new or significantly updated Buick coming in 2016, joining the 2016 Buick Cascada convertible, 2016 Buick Envision compact SUV and 2017 Buick LaCrosse full-size sedan. 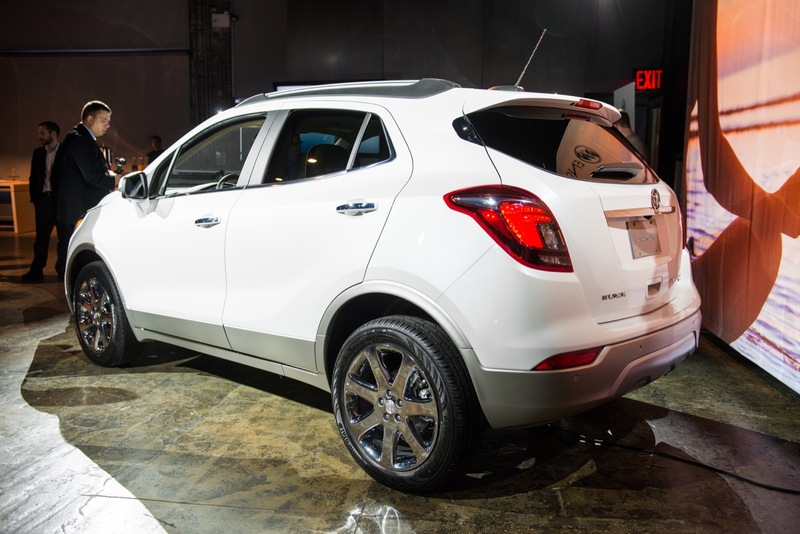 Introduced in 2013, the Encore quickly carved out a niche of its own, offering the premium features typically associated with larger luxury SUVs but with greater maneuverability. 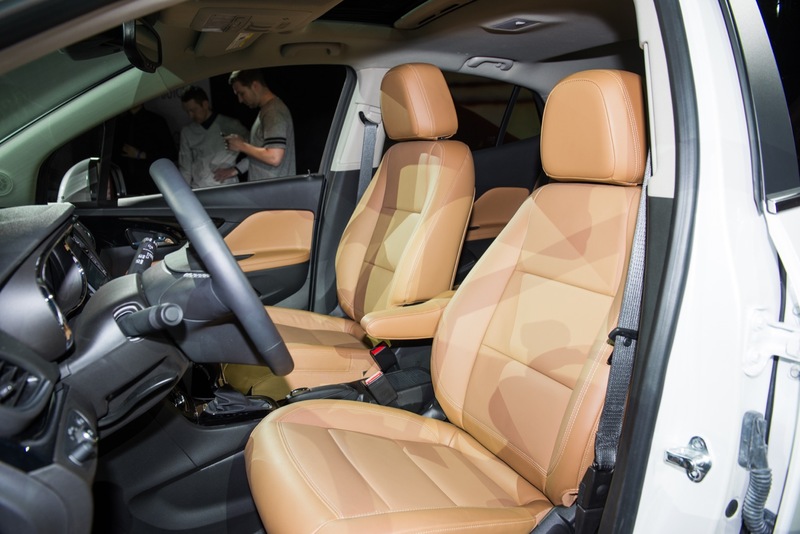 It quickly rose to the top of the fast-growing small SUV market, topping it in 2014 and 2015. 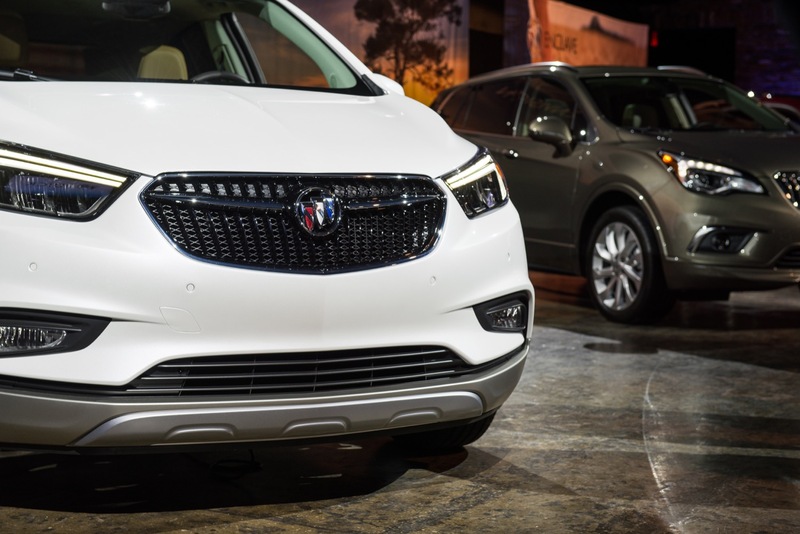 Encore was Buick’s best-selling vehicle in North America in 2015, accounting for nearly a third of overall sales. 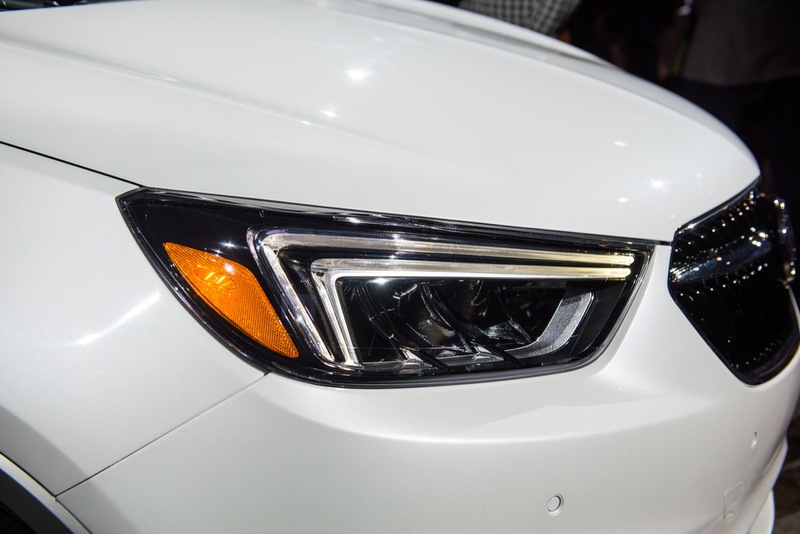 Its sales were up 34 percent for the first two months of 2016, extending a year-over-year sales increase streak to 26 months. 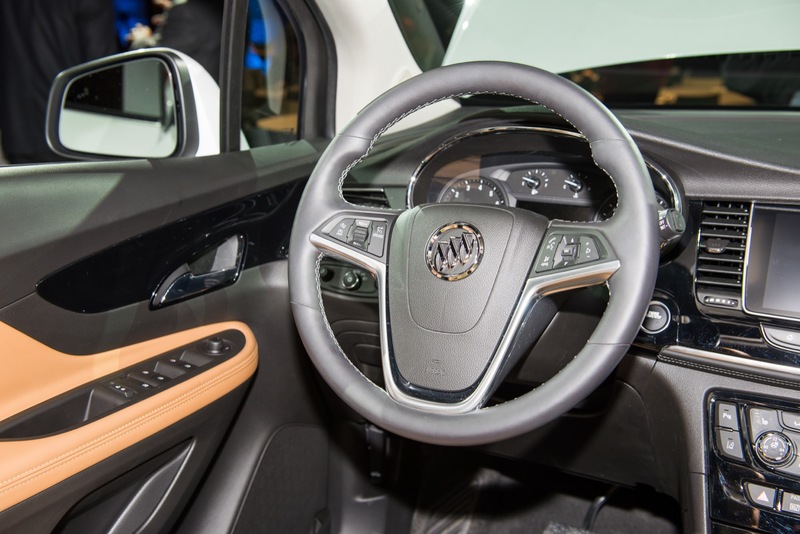 Overall, SUVs now account for approximately 60 percent of all Buick sales, up from 34 percent prior to the introduction of the Enclave in 2007. 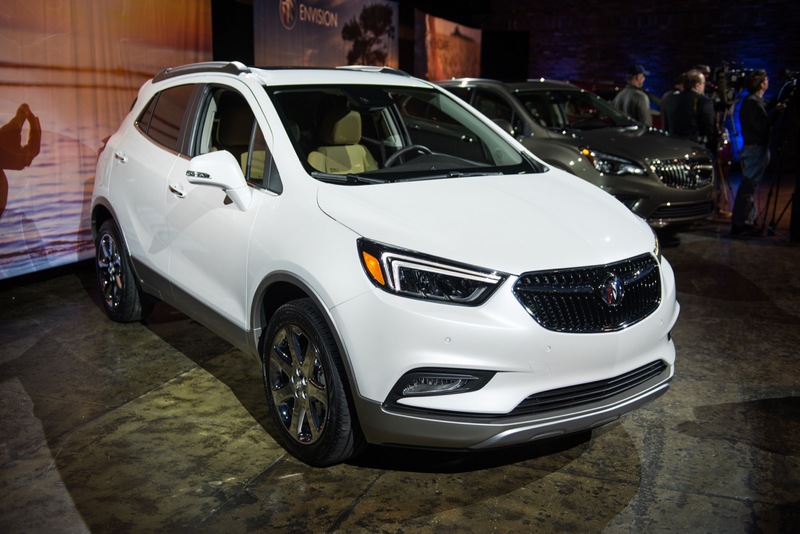 Starting this summer with the arrival of the Envision – which slots directly between the Encore and Enclave – Buick will offer SUVs in the market’s three most popular segments. 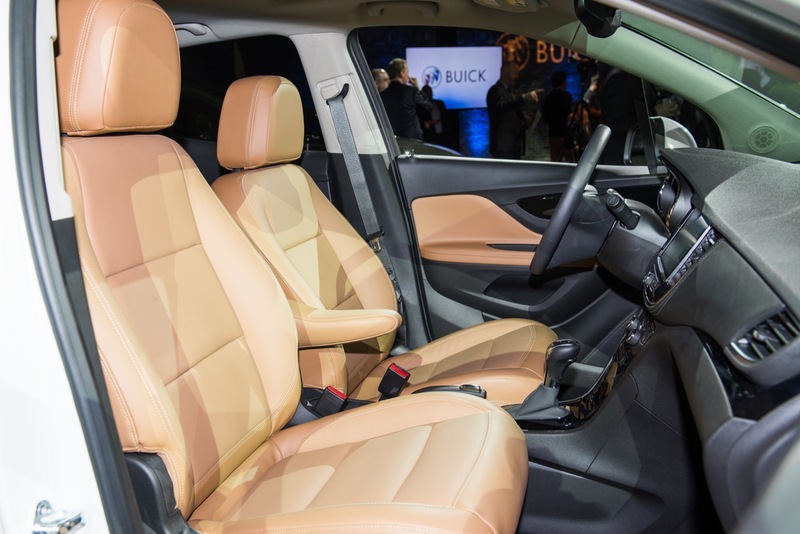 Standard features of the 2017 Buick Encore include 10 air bags and StabiliTrak stability enhancement. 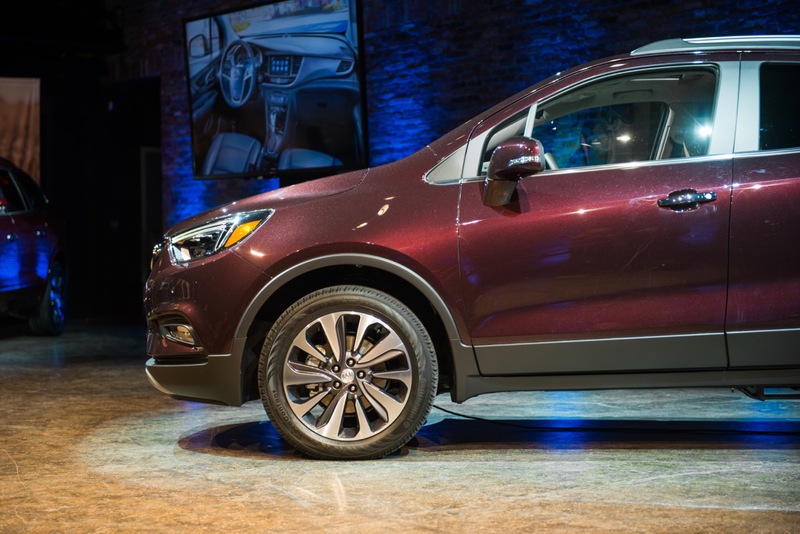 The 2017 Buick Encore offers two 1.4L turbo-charged inline four-cylinder engines paired to a new six-speed automatic transmission. 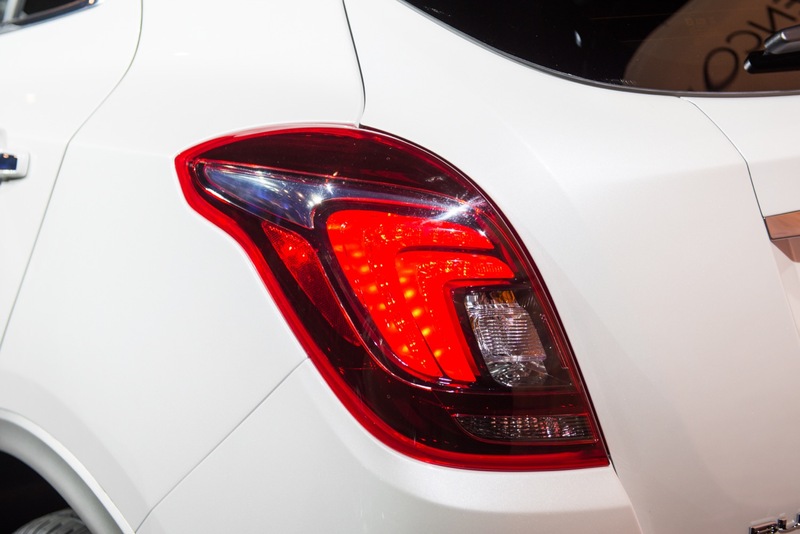 Though not yet confirmed by Buick, we have reason to believe that the 2017 Encore will feature the following engines. 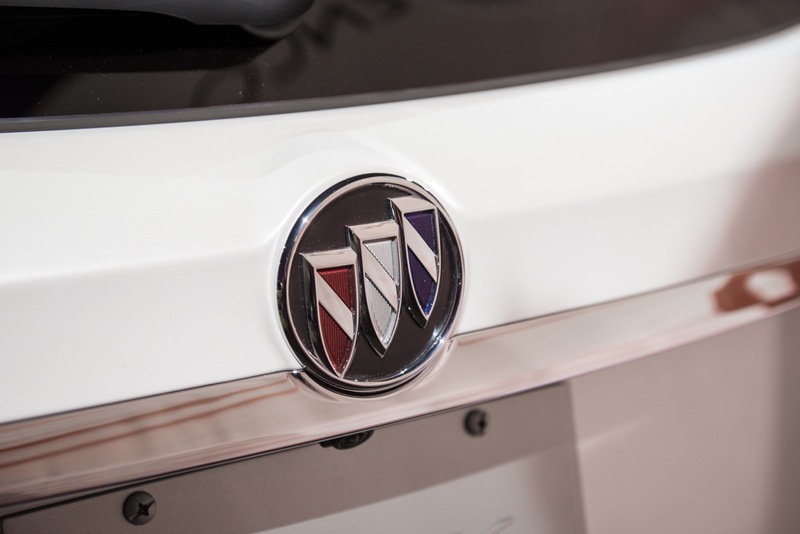 Though Buick says that the LE2 “is available on most trims”, we are attempting to confirm which trims (exactly) it will be offered on. 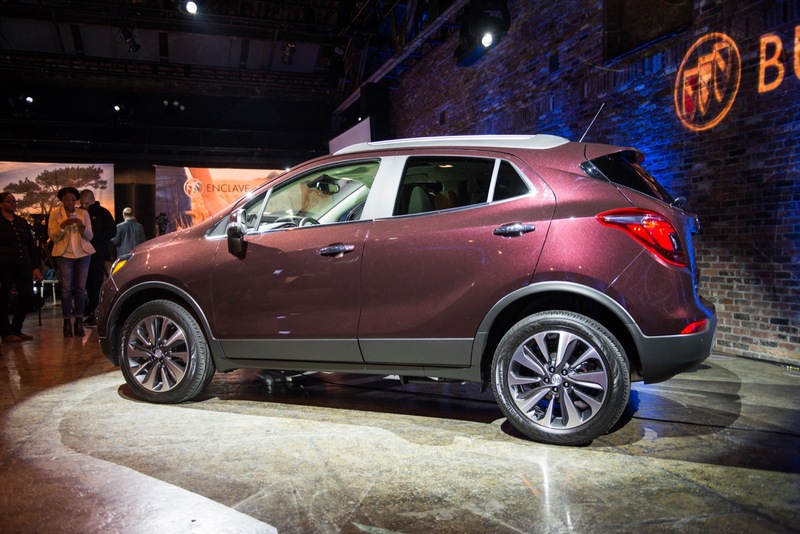 To note, the 2016 Buick Encore only offered the new 1.4T LE2 engine on the Sport Touring model. 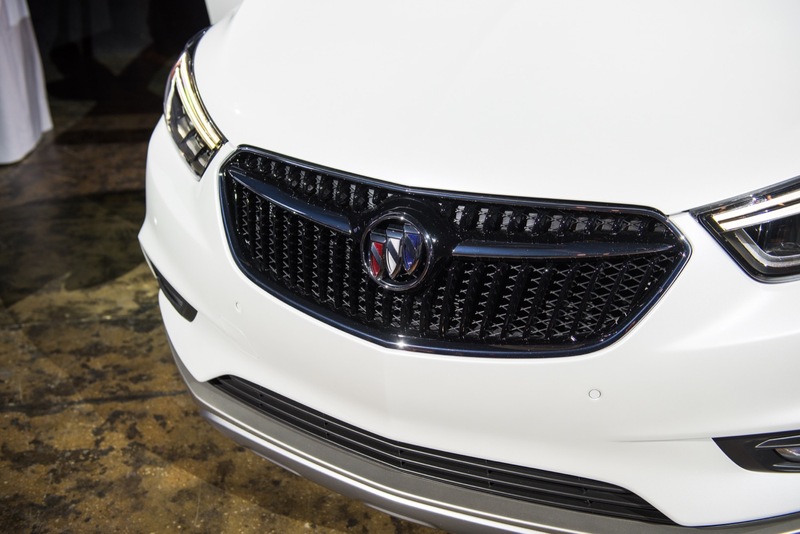 Buick also says that EPA fuel economy estimates will be announced at a later date. 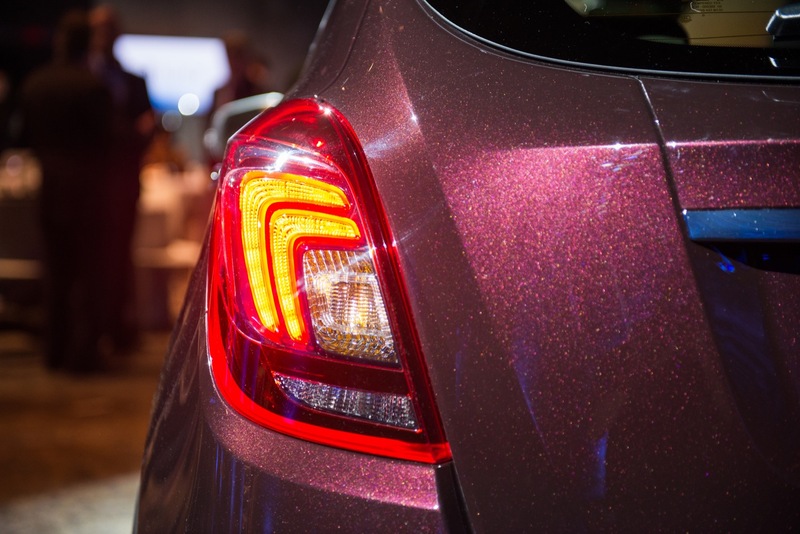 The base 1.4L Turbo LUV is mated with GM’s 6T40 Hydra-Matic MNK transmission. 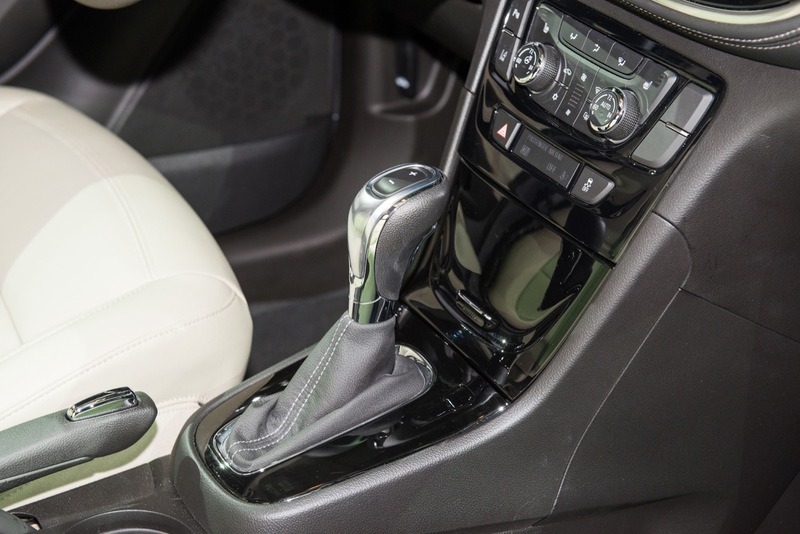 The uplevel 1.4L Turbo LE2 is mated with GM’s 6T40 Hydra-Matic MNH transmission. 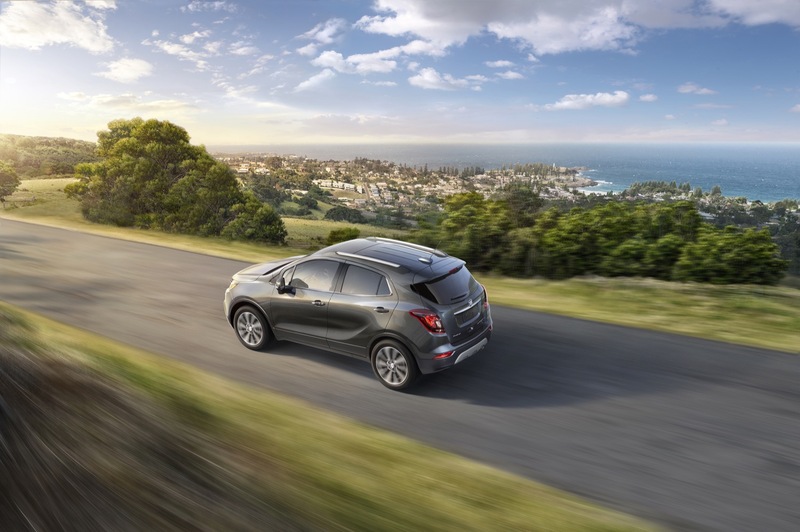 Front-wheel drive is standard, with all-wheel drive available. 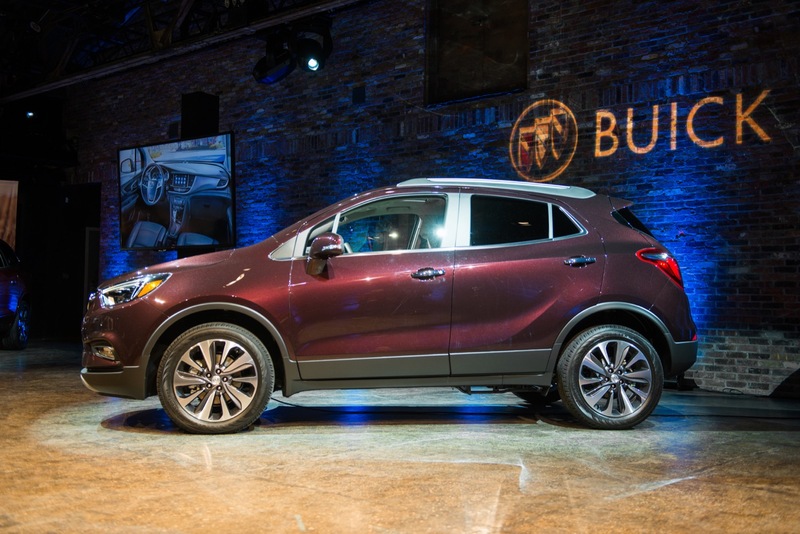 The 2017 Buick Encore will go on sale in the fall of 2016, according to Buick. 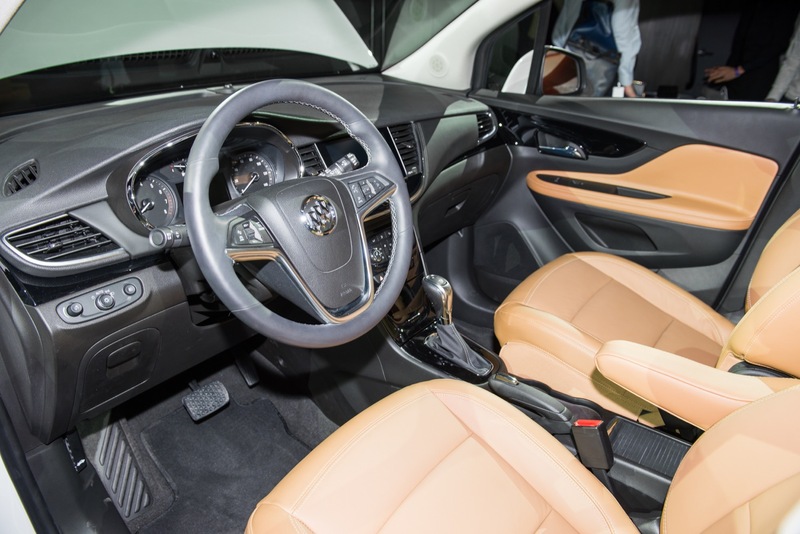 In Europe, the 2017 Encore is sold as the 2017 Opel Mokka X. 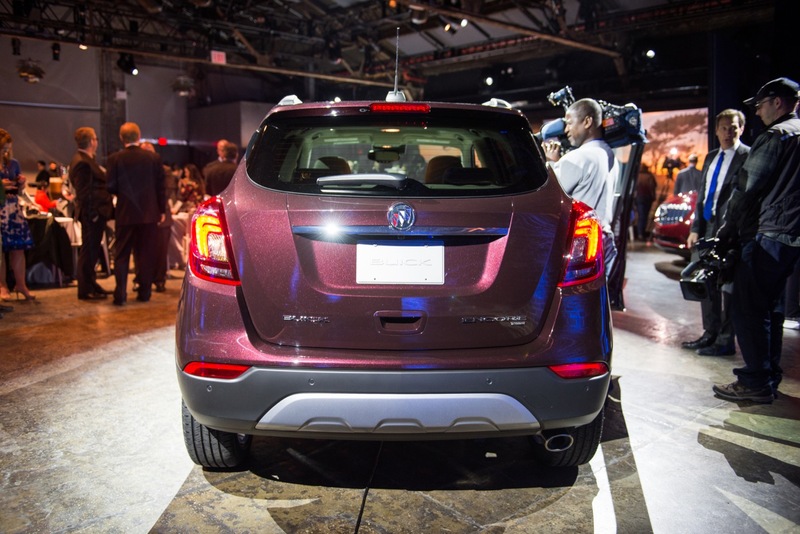 Information about the 2017 Buick Encore was released online on March 22nd, 2016 ahead of its public debut at the 2016 New York International Auto Show. 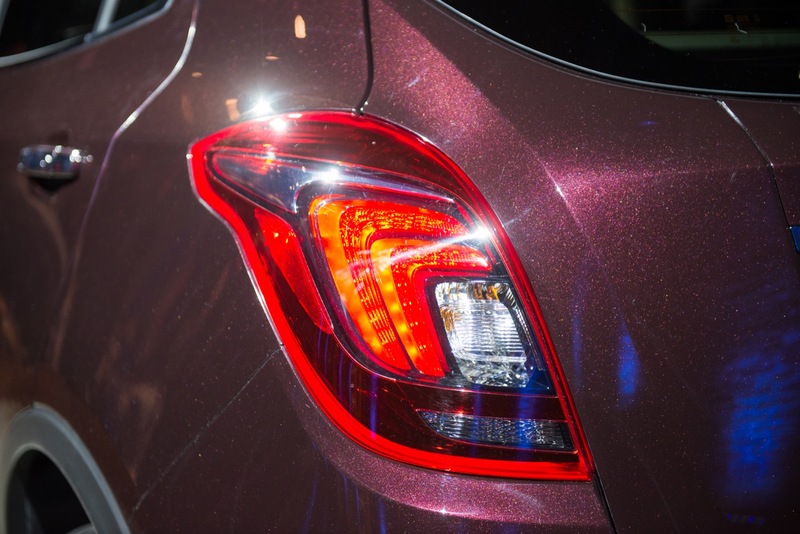 2017 Buick Encore specs coming soon.